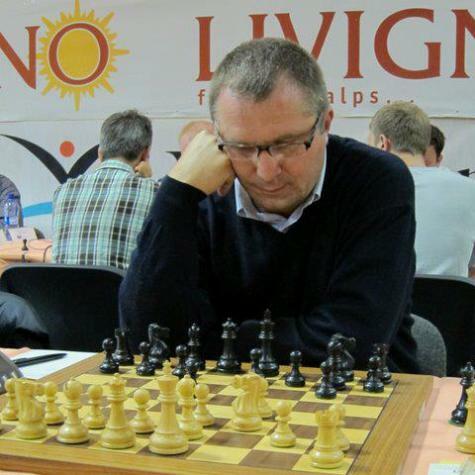 On 18th September, GM Sergey Volkov (Hotel Lac Salin) has won the 2nd International Livigno Chess Open. Volkov was already at the top of the ranking list after the 8th round, but this was no guarantee, as two players were at half point and another three at one point distance. 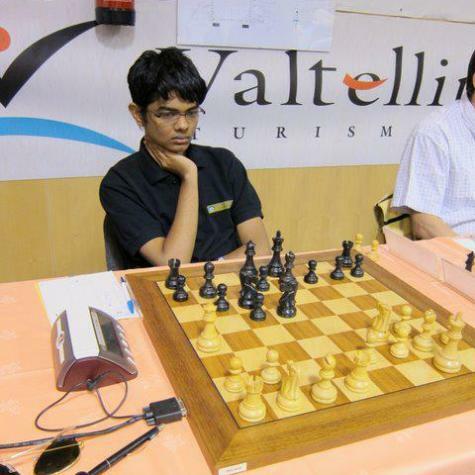 During the final game, though, it was enough for him to draw against GM Svetushkin Dmitry (Hotel Cervo). Svetushkin was the winner on Thursday evening of the Grand Prix Distillati Mazzetti d’Altavilla, a blitz tournament among invited GMs which took place at Hotel Lac Salin. The blitz tournament earned him a precious crystal chessboard, whose pieces are in reality little bottles with liqueur inside. 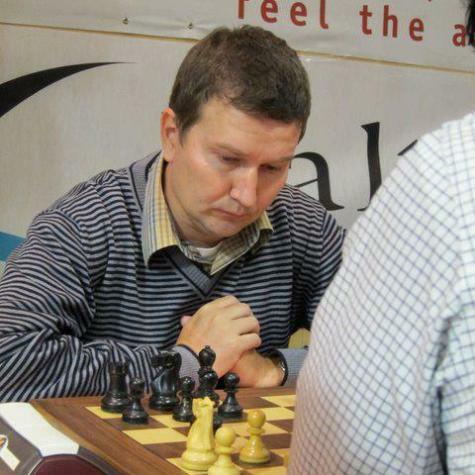 At the main tournament, Svetushkin has arrived at the fourth place, preceded by GM Michalik Peter (2nd, who on Sunday won against GM Petkov Vladimir – Hotel Sporting) and GM Georgy Timoshenko (Hotel Flora), 3rd place after winning against Narayanan Srinath, (8th), a young Indian player who has surprised many of his opponents during the tournament. The first three players also won a luxury watch each, offered by Baume & Mercier. Fifth place for GM Solodovnichenko Yuri (Park Chalet Hotel Village, previously winner of the Rome Open) and 6th for another young chess player, Kilpatrick Callum, who in Livigno got a norm for the GM title. For the 150th anniversary of Italy’s unification, a special ranking among Italian players was set up. The winner has been IM Godena Michele (Hotel Cassana, 9th overall), followed by IM Rombaldoni Denis (Hotel Astoria, 10th), IM Fabio Bruno (Hotel Residence Adele), and GM Brunello Sabino (Hotel Baita Montana). Among women, 1st prize overall for FM Arnetta Maria Teresa (Hotel Amerikan) followed by WIM Brunello Marina (Hotel Baita Montana). The organisers are very satisfied by the outcome of this tournament. There have been 90 players, representing 24 nations, with 22 GMs and 14 IMs in the field. Many are the big names. Among them, GM Michal Olszewski (Hotel Camana Veglia), bronze medal at the 2009 World Junior Championships, GM Cebalo Miso (Hotel Marzia), 2009 World Senior Champion, as well as the Brunello family (GM Sabino and WIM Marina), who feel ‘at home’ in Livigno, having spent there many holidays. 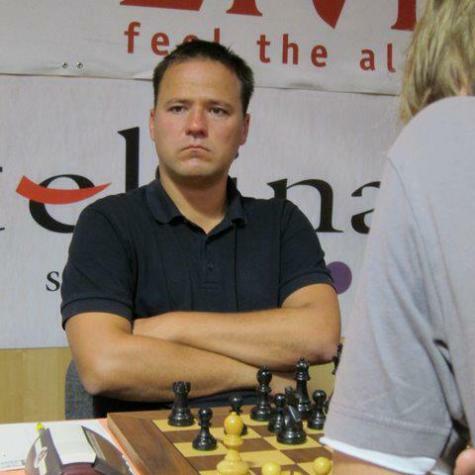 Ylon Schwartz (USA) is another well-known player, thanks to his performances in another sport: poker. The tournament took place in Plaza Plachéda conference centre in Livigno, one of the main Alpine resorts in the Alps. Livigno is famous for its nature and for the many sports which can be practiced here (such as skiing, mountain biking, hiking, climbing…). It is also a duty free area, with more than 250 quality shops. But first and foremost, it is a typical mountain village, which has succeeded in preserving its traditional houses and its century-old traditions. More information: www.livigno.eu. Among the many sponsors who made this possible there are all the hotels who decided to host and ‘adopt’ a GM each (and whose name appears next to the hosted player), Valtellina, Banca Popolare di Sondrio as well as Scacchi Randagi, responsible for the live broadcasting of the matches on the internet. But the activities of the organizers are not finished yet. Starting from Monday, the local chess club has organized “la sc’temána di cavágl da légn” (in dialect: «the week of the wooden horse» i.e. the knight piece), with lessons for all levels and for all those (students, adults etc) who are interested in learning this game and who, thanks to the tournament have (re)discovered this sport. The courses are organized in cooperation with CM Michele Blonna. See you in Livigno for the 3rd International Livigno Chess Open!